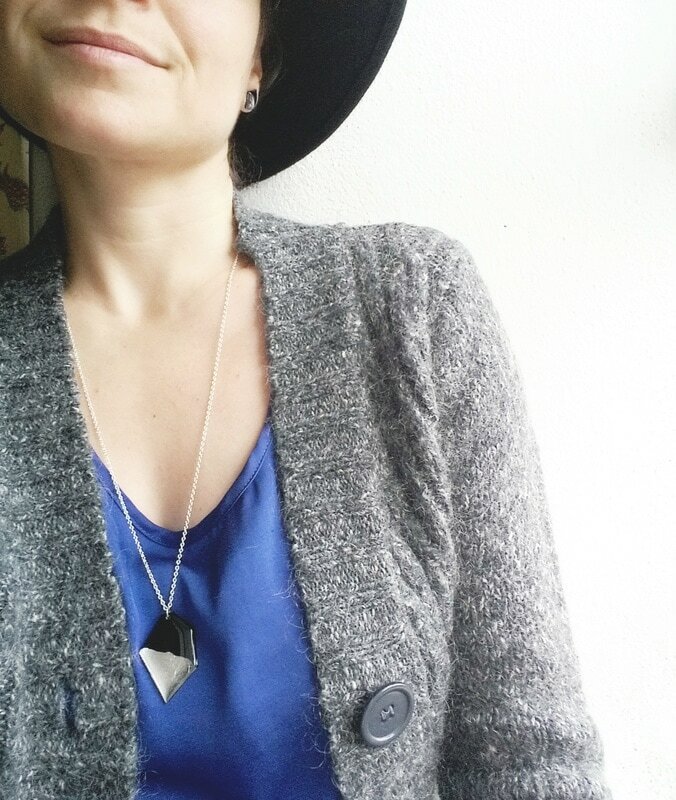 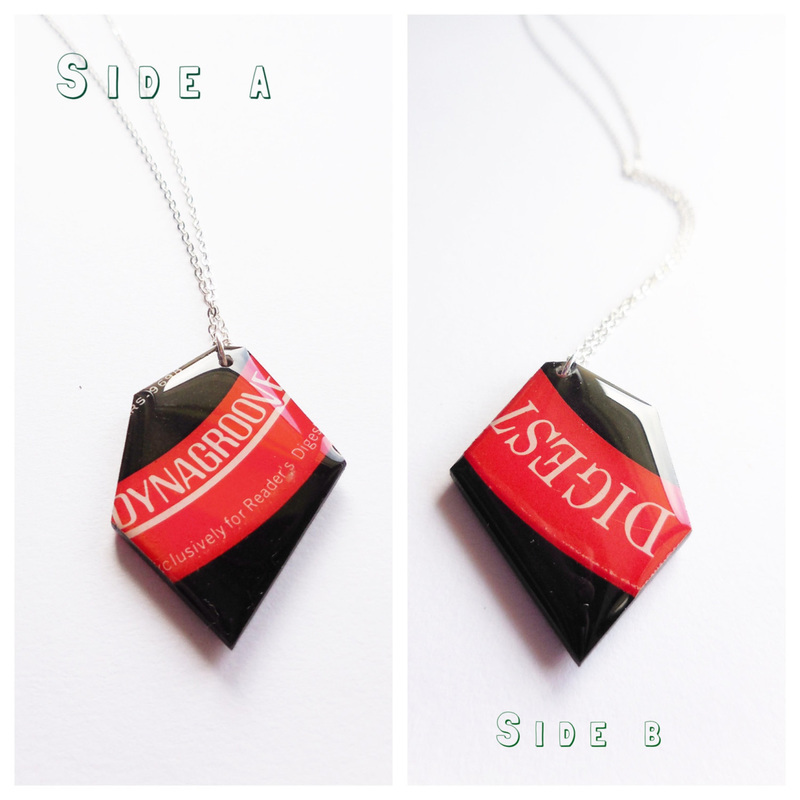 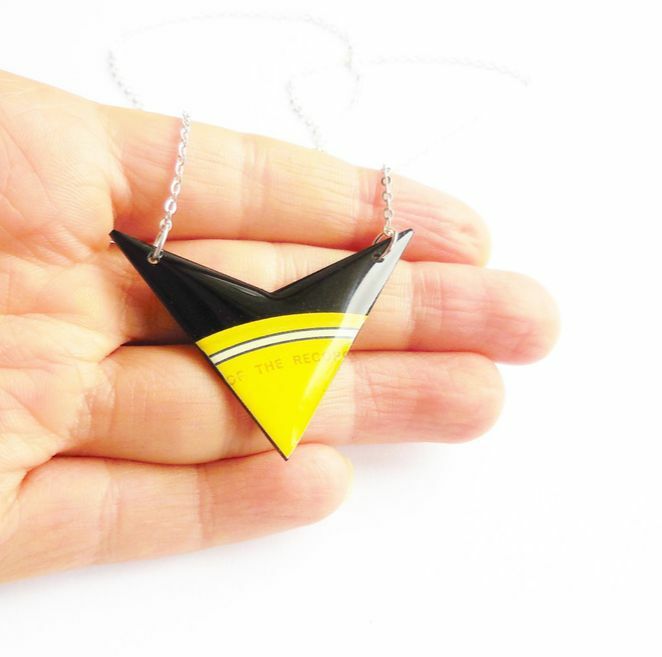 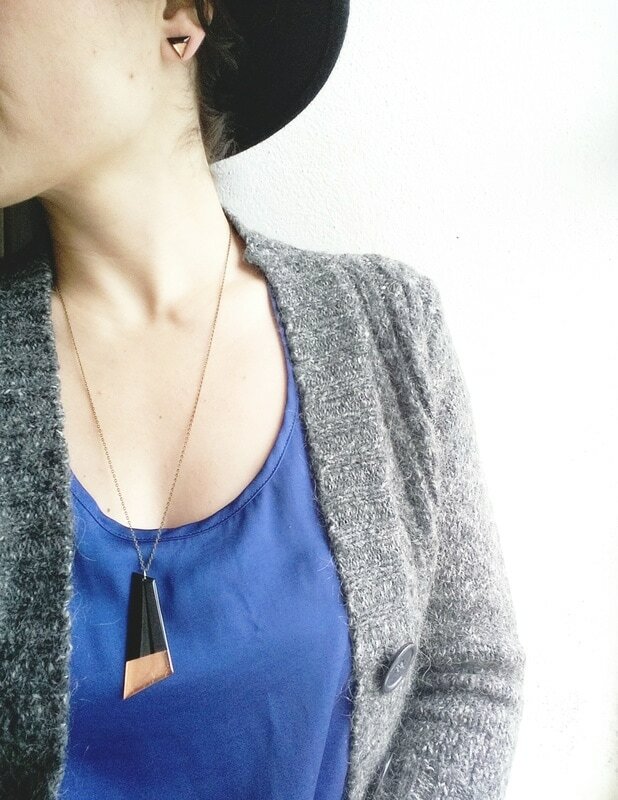 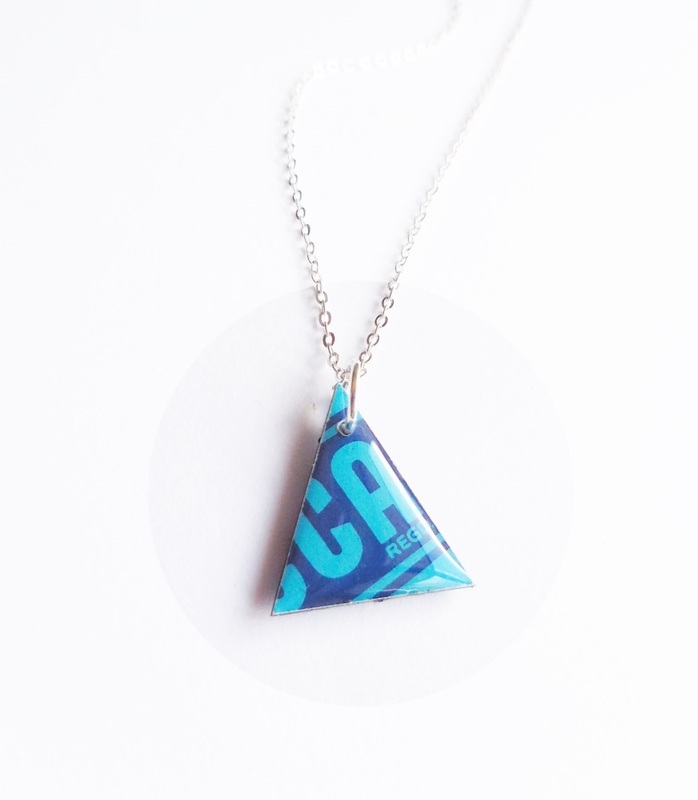 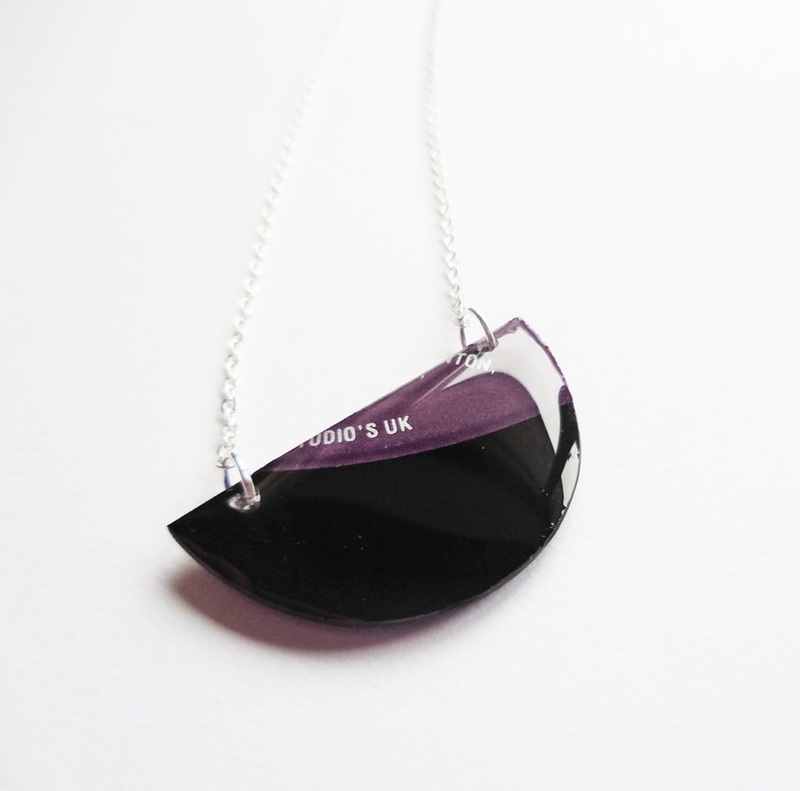 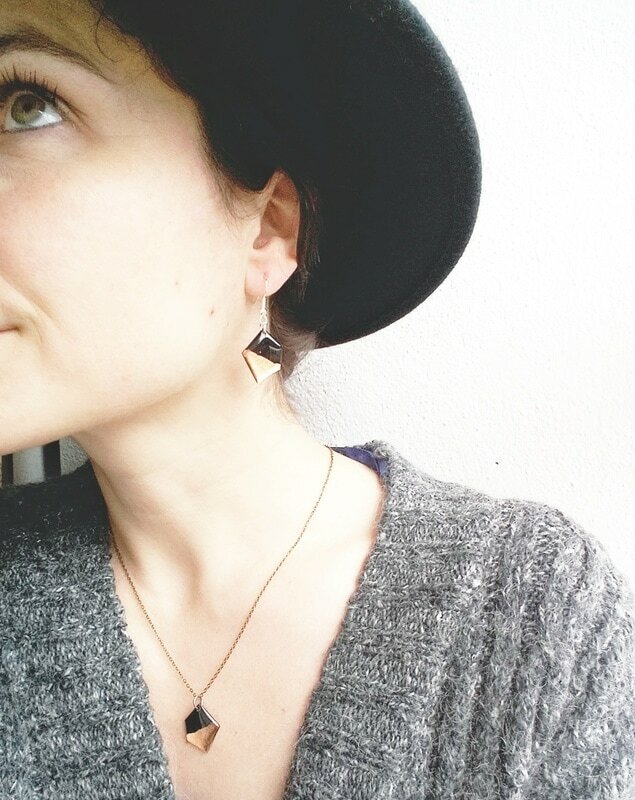 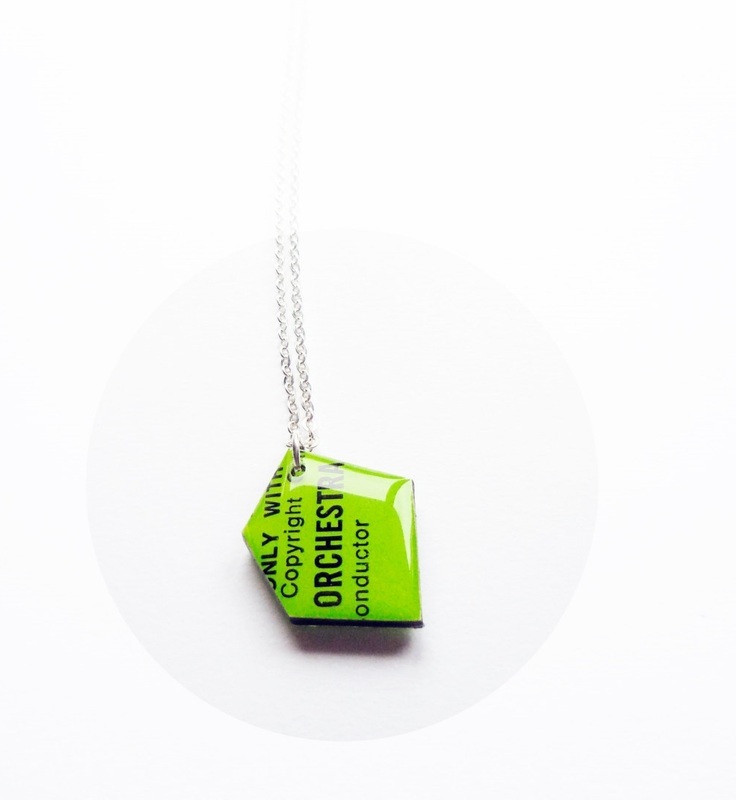 ▷ I individually handcraft every necklace from recycled vinyl records. 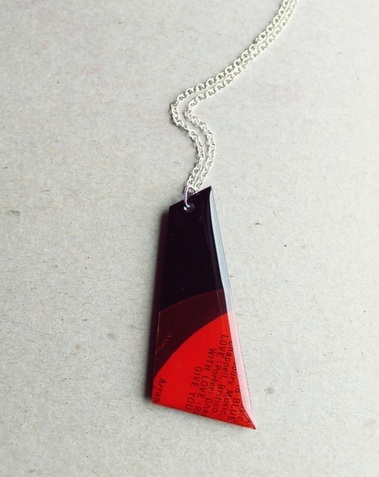 Each piece features some of the record label and is therefore one of a kind. 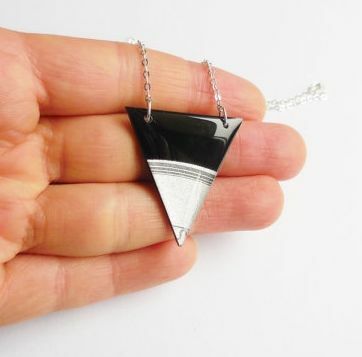 The necklaces come in a variety of shapes but what appears on the necklaces will be different from one piece to another, making them absolutely unique. 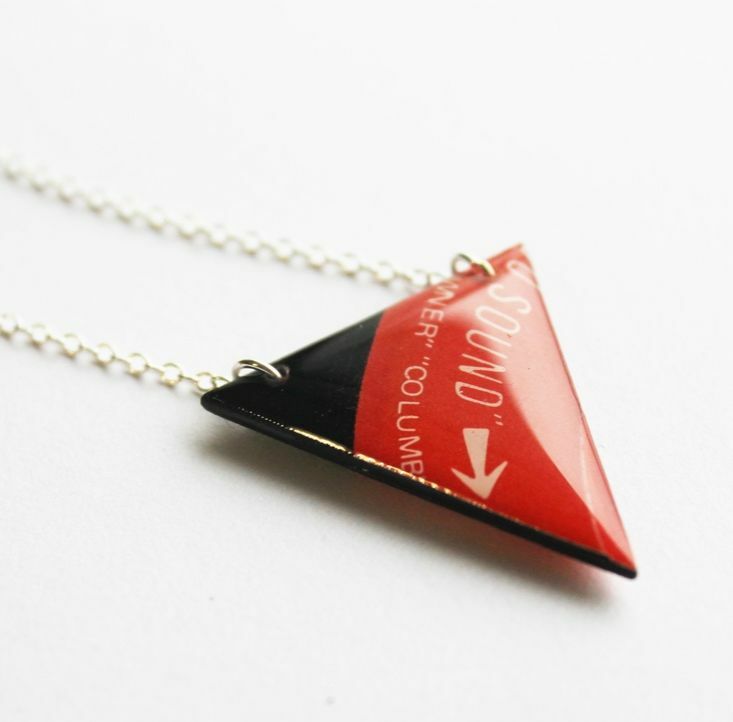 ▷When you place an order, you selection is sent in a variety of tones. 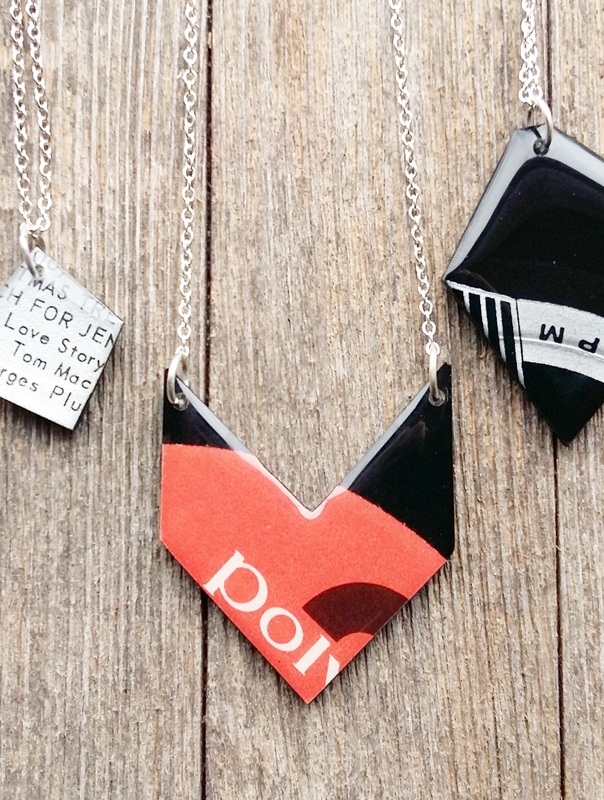 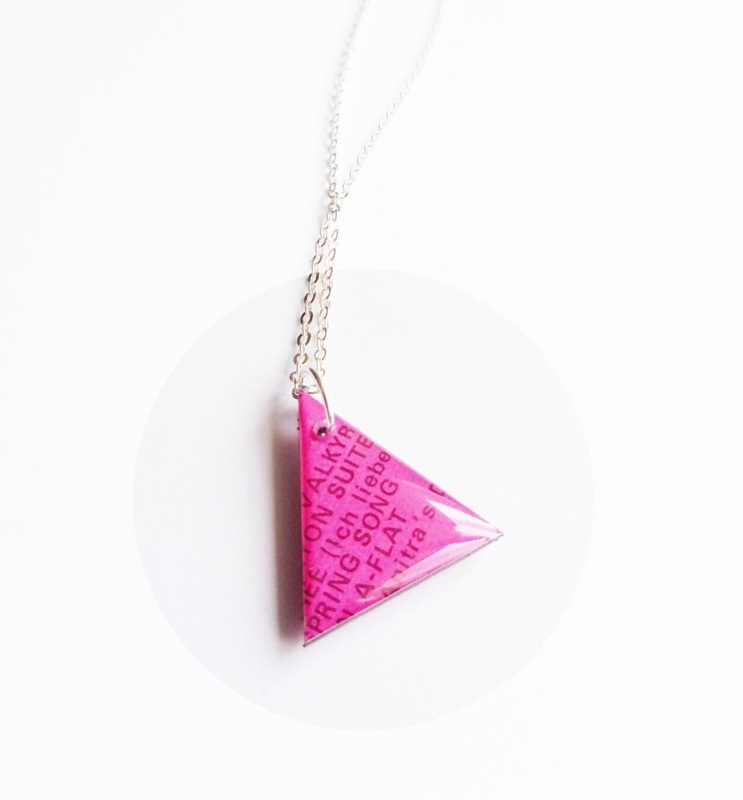 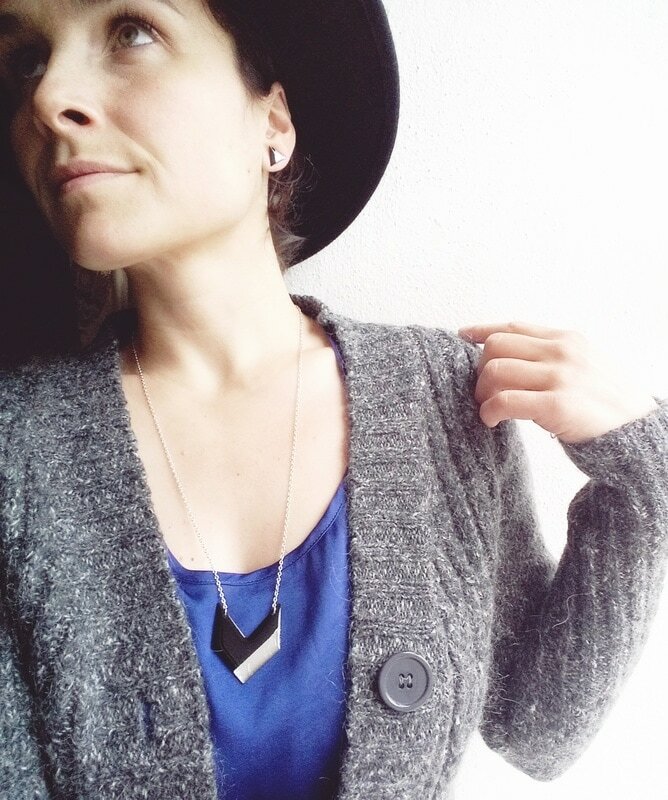 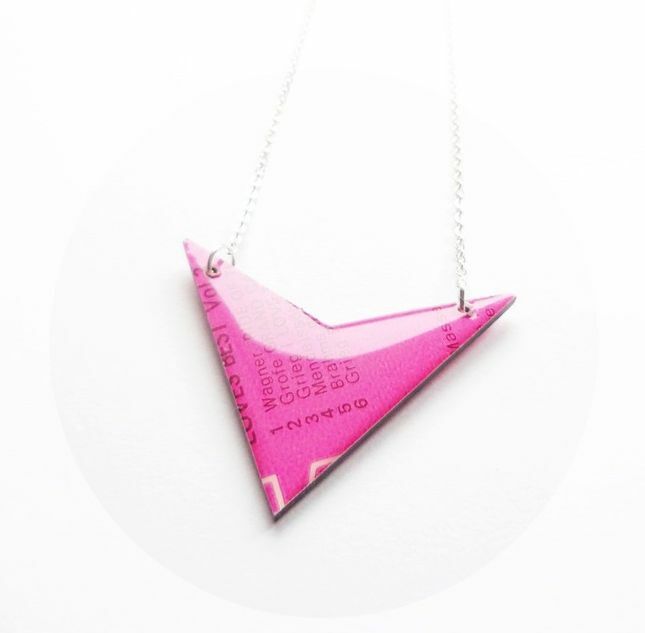 ▷ The necklaces show words, designs and sometimes logos from the original record labels. 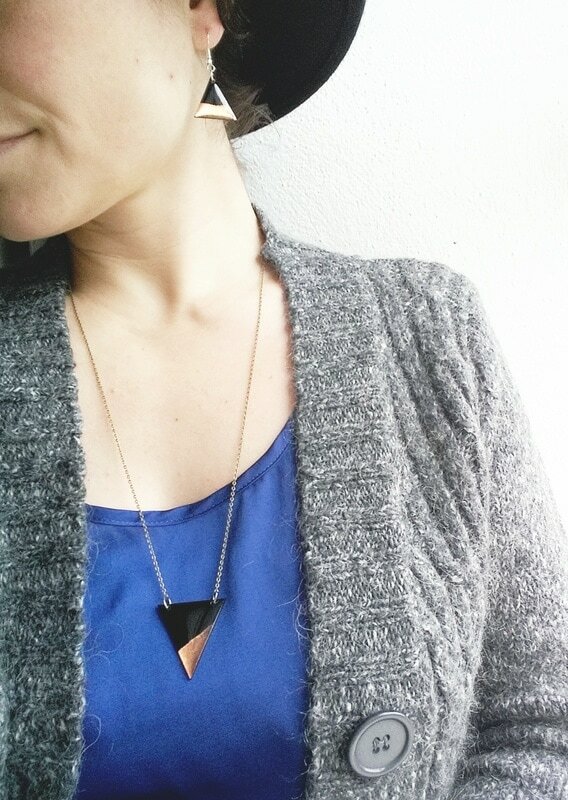 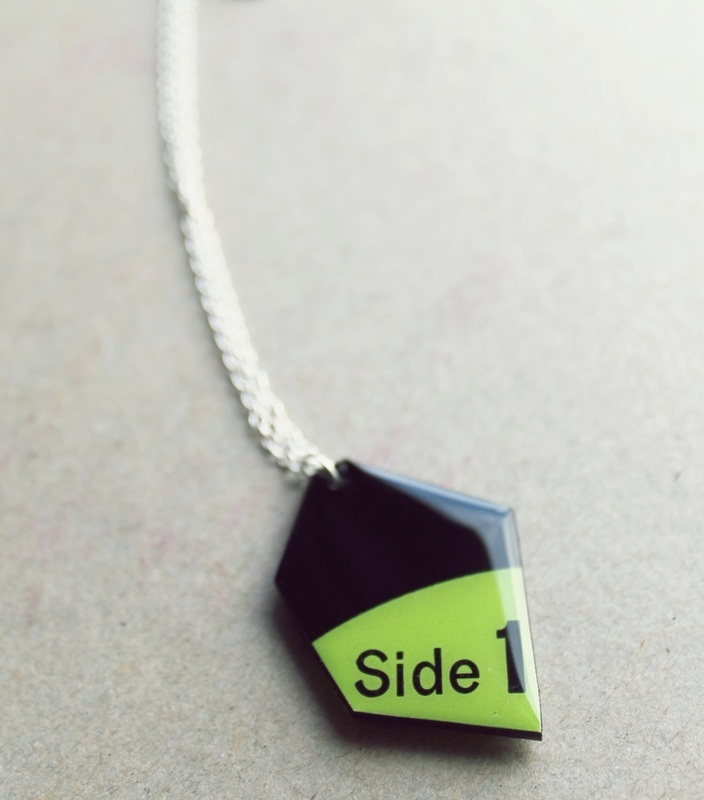 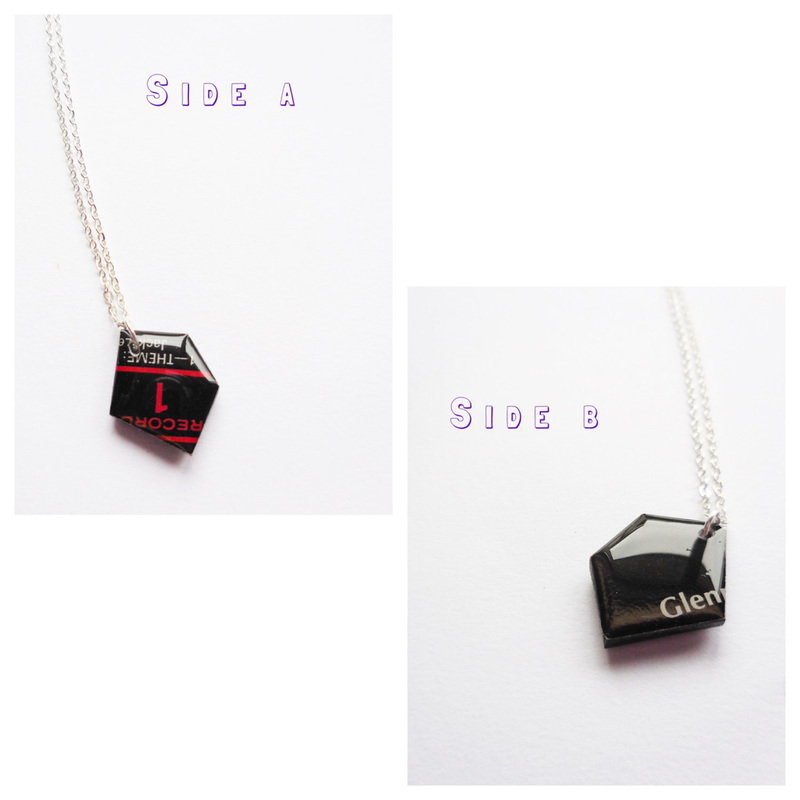 ▷ Just like a vinyl record, every necklace has a "SIDE A" and a "SIDE B". 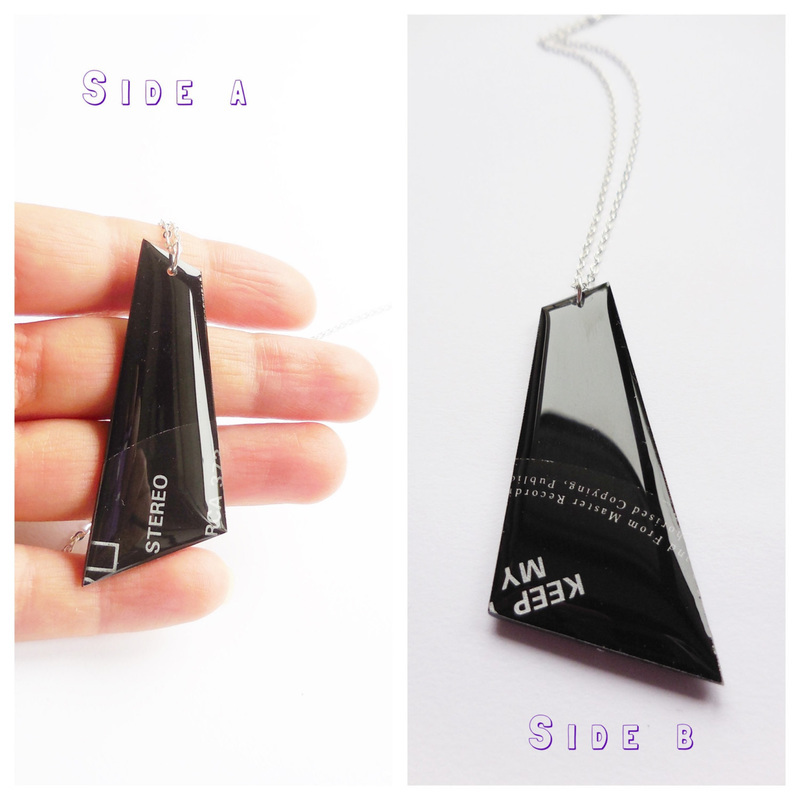 Both sides are coated with a layer of high quality transparent glass like resin. 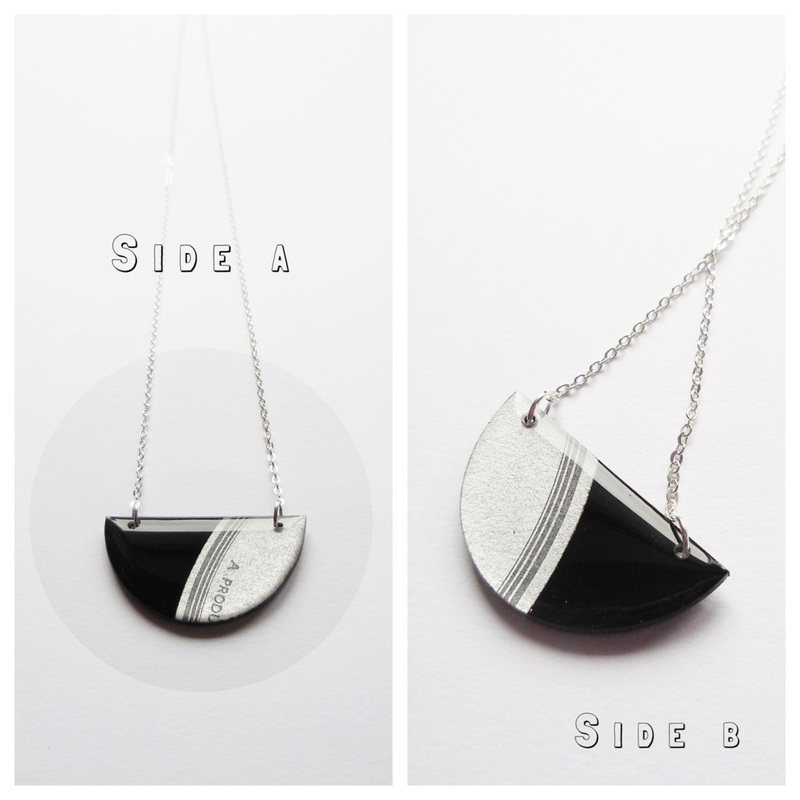 Each of the sides of the same pendant are usually different from each other, featuring different words and/or design. 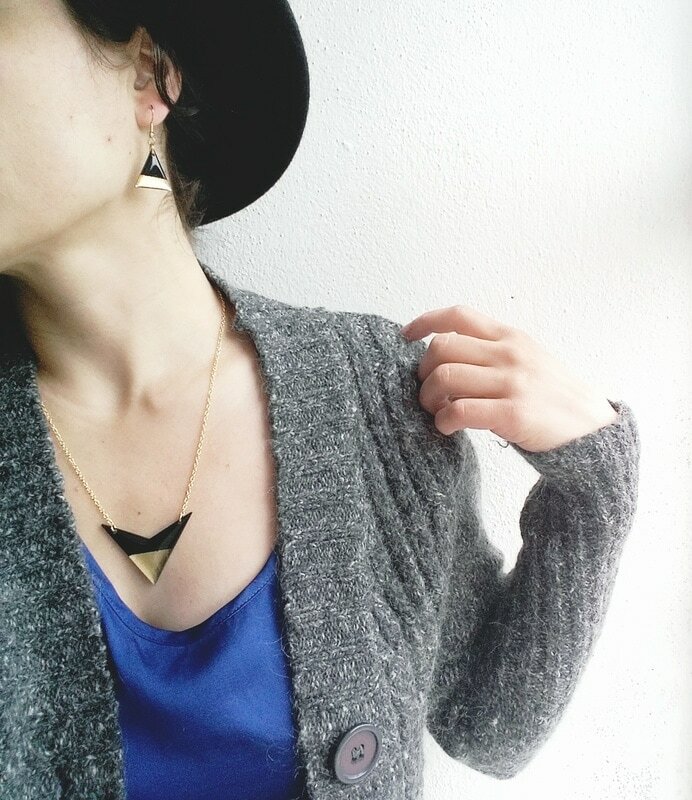 ▷ Due to the nature of the material, every piece is very lightweight and comfortable to wear. 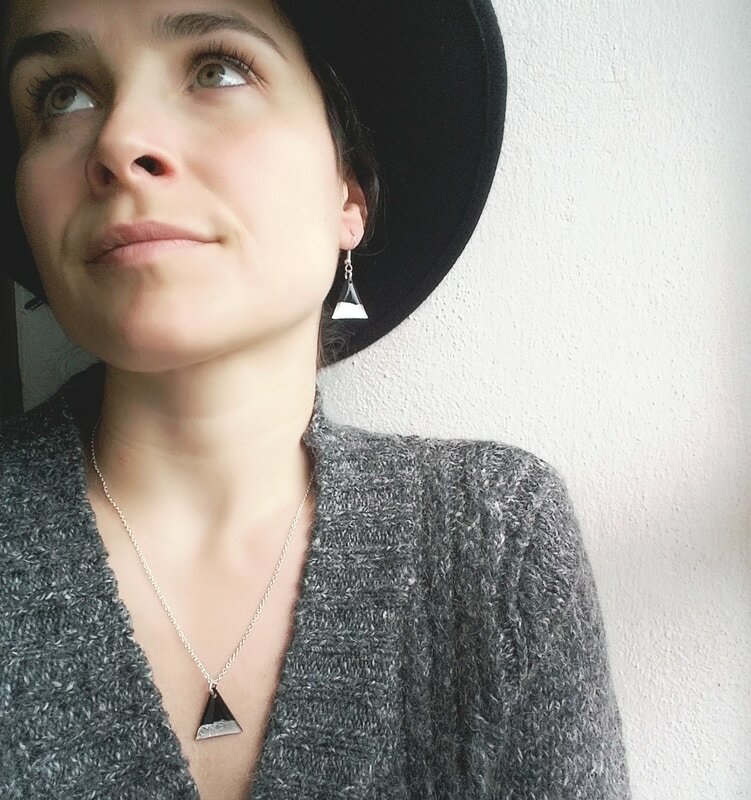 ▷ Chains are sterling silver and are available in 5 lengths (inches): 16", 18", 20", 24" and 30". 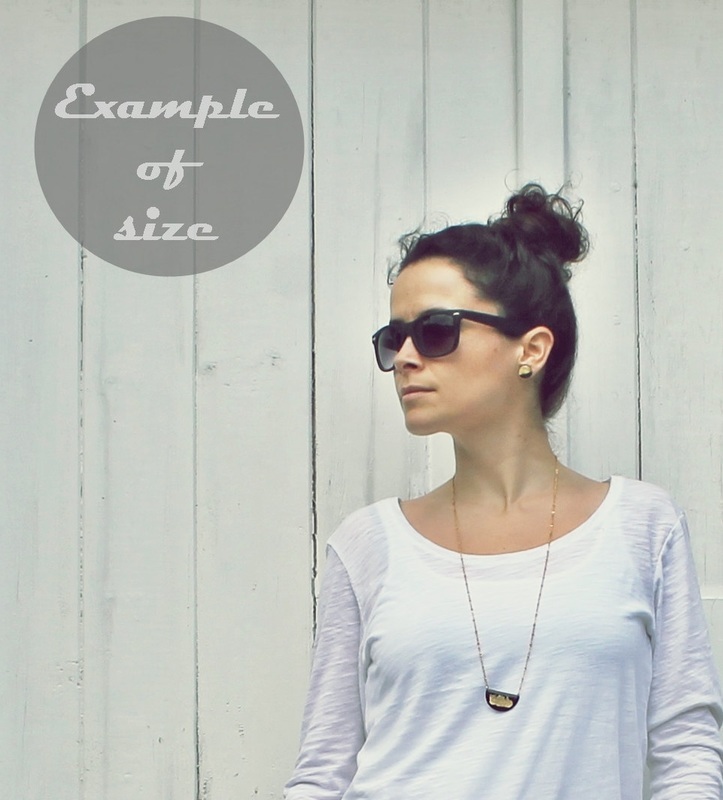 If you order necklaces on chains of different lengths, it is suggested, for example, that the order is placed similar to this: 2 X CNL (1 x 18", 1 x 24"), 3 X CNP (2 X 16", 1 X 20"), etc. If no specific length is requested, each necklace will come on 18 inch chains. 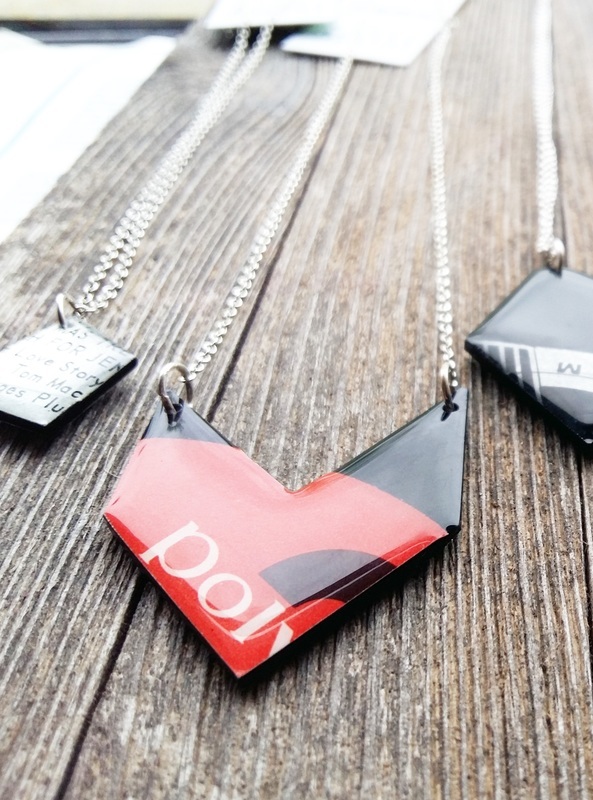 ▷ Every piece comes with a card featuring logo and details.